Crowdfunding is a relatively new term that refers to the act of raising money by asking a crowd for money to fund your idea, project or to help you reach your goal to produce something. In this post I’ll share more details about crowdfunding, why it does and doesn’t work and I’ll ask for your opinion at the end. 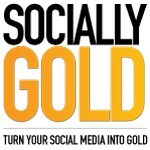 I have tried my hand at crowdfunding to get Sociallygold off the ground. I originally got the idea from seeing a campaign on Indiegogo that aimed at helping Karen Klein, the school bus monitor who became famous from a YouTube video that showed her being humiliated by a bunch of middle schoolers. The goal of the campaign was to reach $5,000 to send Karen on a much-needed vacation. The campaign went viral on the internet and raised over $700,000 before ending. The “Let’s give Karen – The bus monitor – H Klein a vacation” campaign has over 30,000 funders, all of which donated small amounts. Some people donated $1, and some donated $100. Seeing the success of this campaign, I wanted to try one of my hand at it. I’m not crowdfuning currently, but campaign was to help start my website. I want to start a company that gives resources to non-profits that teaches them how to use social media to accomplish their goals. I admit, I got very excited about the potential, but don’t let the high amount raised by Karen’s campaign fool you. Crowdfudning is not for everyone. You can see my Indiegogo campaign and what I did to try to raise the money. I emailed friends, posted it on Facebook, Tweeted at people and I was able to raise a little over $200. I event created a video to encourage people to donate. I didn’t reach my goal of $2,000, so I would not consider that campaign a success. Crowdfunding campaigns allow you to set up incentives so donors can get something for donating. You can set up different levels to encourage higher donations. If your would be donors have a perceived sense of value that they can associate with their donation, you may have better luck. A friend of mine asked me to help her with a crowdfunding campaign for her organization. The goal of the campaign was to raise money that would go to programming. I think we missed the boat for a couple of reasons.
. The campaign was promoting a vague goal. “Programming” may have been too broad.
. We didn’t get buy-in from the community that the funding was looking to benefit. We posted the campaign and hoped it would go viral. We should have had someone in the community or a beneficiary of the funding to create the campaign and spread the word.
. We did what we could to promote it by creating a Facebook event in hopes of it going viral. The idea was to send it to board members of the organization so they would send it their friends. We didn’t take that step. Jacob, a friend of mine who is also involved in fundraising has a strong opinion about Crowdfunding and why you should be weary of it. He mentions Kickstarter, which is also a Crowdfunding website. If you know me personal, you know that I am a huge fan of technology, and if you don’t know me personally, now you know. I was exposed to a Kickstarter campaign that was looking to fund a smart watch. This smart watch needed to raise $100,000 to get their smart watched into production, but they ended up raising over $10,000,000. Wow! I backed this campaign in May 2012 and didn’t get the product mailed to me until 10 months later. I was first exposed to this campaign from a friend who posted about it on Facebook. Why I decided to fund this campaign. The above crowdfunding campaign is slightly different then the fundraising campaigns mentioned earlier. By giving my $115, I was going to receive something from it. The Kickstarter guys also kept all their backers in the loop with weekly updates of the progress. I really got a sense I was apart of the team. Now that I have the watch, I couldn’t be happier. It also makes me cool at parties. by Scott Frankel, “From The Diaspora” – an educational film and program about the place of Israel in the identities of young Jews from around the world. Kickstarter uses a fixed fundraising model, where Indiegogo has more flexibility. Each project is different, but overall I think fixed is better. It puts both you and the potential investors in an “all-or-nothing” situation where you either reach your goal or nothing is lost. Flexible fundraising creates more barriers. Potential funders might ask themselves: What if he/she doesn’t reach their goal, am I out that money? You don’t want either party left with any questions about what’s next. Go with a fixed fundraising campaign so you can push yourself and your potential funders to act urgently (which is key). The shorter the time frame the better – it’s all about getting people to act now! 2. Have something tangible. If you’re only at the “idea” stage, then forget about it. People want to see that you have the ball rolling on a product/venture. Be explicit about what you need money for and how the investor benefits from giving you money. Create a website, create a prototype, do as much as you possible can on your own before you start asking people for money. 4. People invest in people. People look to invest in the person behind the product. So make sure to sell yourself. It’s important that your personality shines through in your fundraising page and in your video. Don’t overdo it though – I’ve seen campaigns really get burned by too much personality. 6. How much do you need? Ask for less. People can always invest beyond the target goal. When setting a goal, ask yourself, What’s the absolute minimum I can work with? Your goal should be $1 more than that. Also, keep in mind that crowdsourcing websites take 10% of the total amount raised (shocking, I know). So keep that in mind when setting your goal as well. 8. Timeline your campaign. The most activity comes at the very beginning and the very end of the campaign. Be prepared to push big during these days, but also think strategically about how to fill in the middle. Timeline each day of the campaign, and set weekly fundraising goals. Money doesn’t pour in all at once – fundraising is an incremental process. (If possible, try to get a family member or friend make the first donation to get the pot boiling. 9. Keep your cool. It’s important to stand out amidst the many products/ventures that use crowdsourcing campaigns now. Be funny in your incentives. Create memes on social media. Utilize the press. Find a way to be the taller tree in the forest, but DO NOT SPAM! The quickest way to fail is to get desperate and start tagging or tweeting at people in your posts, or overloading on e-mails. Don’t be too “in-your-face.” Lulls will happen, donors take their time, just know that and keep your cool.